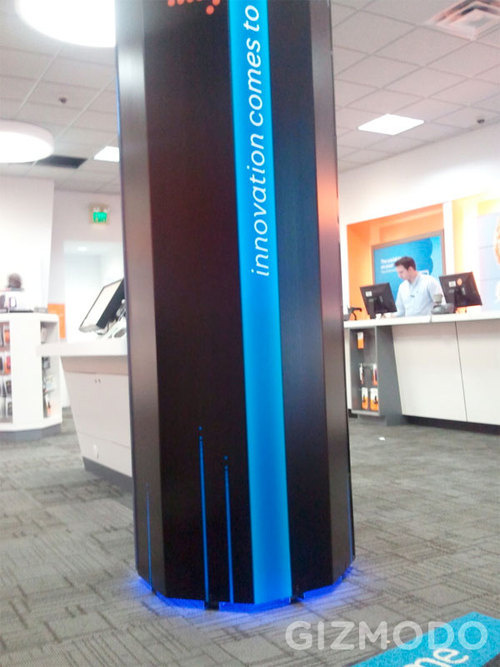 New Monolith Display in AT&T Stores; Could it be for BlackBerry 9800 Slider Launch? There is word that AT&T stores all across the country have started putting up these giant monolith displays in preparation for something. The store managers and staff aren’t allowed to know or even joke about could be inside, otherwise they face termination. Many are speculating that this could be for the launch of the BlackBerry 9800. On one side of the display it says “innovation comes to life” and on the other side it says AT&T’s current marketing campaign, “rethink possible”. If you look closely, the display’s color scheme seems to fall in line with that of OS 6. Even the font used seems strikingly familiar to the BlackBerry logo, but it isn’t the exact same. Could this be for the 9800? Only time will tell, and we should hopefully know on August 3rd after the BlackBerry and AT&T event in NYC. What do you think this monolith display could be for? If we have any readers that are AT&T employees and are adventurous enough to find out what is inside, it would be greatly appreciated!